Generous designer Laura Cracknell has donated her crochet cable scarf pattern to p/hop. It’s great for learning a new technique, cable crochet. The pattern includes clear instructions on how to cable in crochet and makes a cosy scarf which appeals to both men and women. 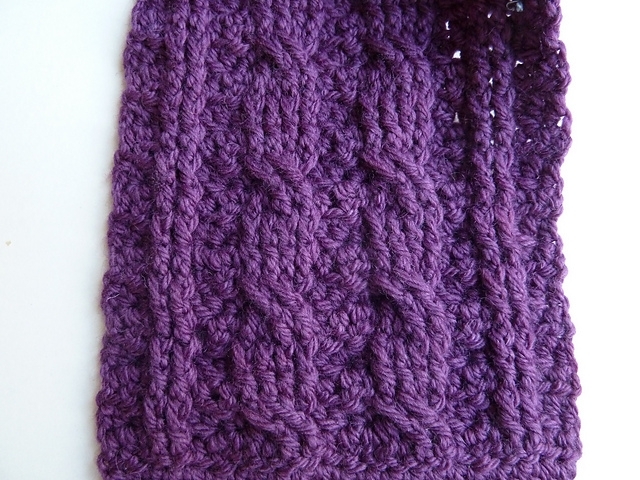 Although the pattern is written for aran/worsted weight yarn, it can be adjusted for alternate weights. UK crochet terms used throughout pattern. To see what others have made from this pattern, please visit the Cable Scarf pattern page on Ravelry.